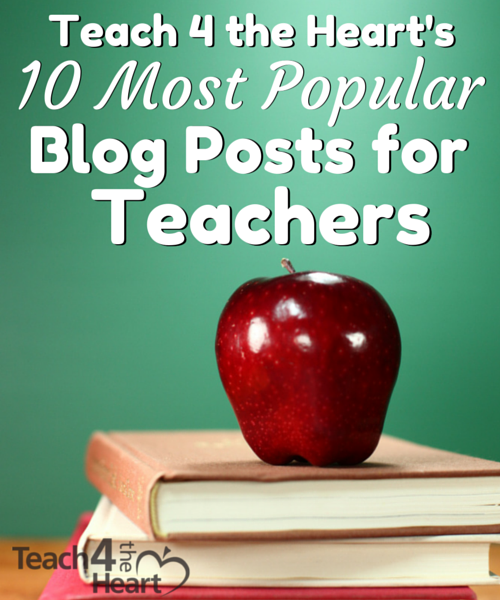 Today I want to share with you the top 10 posts from Teach 4 the Heart. You may have seen some of these before, but a lot of them have actually been around for awhile, so you might have missed them. Thousands of people have found these posts helpful, so I hope you do, too. And if you do find one you love, please feel free to share it with your friends & colleagues! 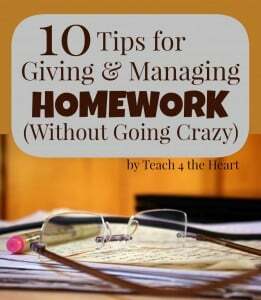 #10 How to Manage Homework without Going Crazy (18,509 views) Keeping track of homework doesn’t have to be an absolute nightmare. These are some tips & tricks I used to keep it all under control. #9 Help, I’m Losing my Voice! (18,560 views) I went through a year or two where I lost my voice every single week. 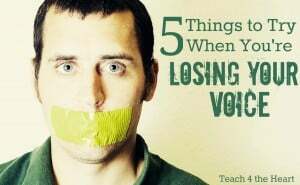 It was not fun, but after a few months of speech therapy, I learned a few things about how to get your voice back. 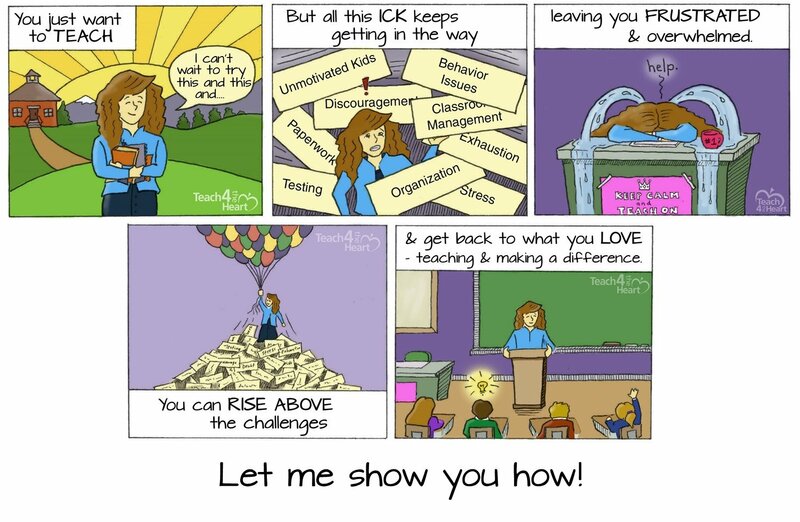 #8 Classroom Management Concepts I Wish I Had Understood as a First-Year Teacher (20,503 views) I sure made some big mistakes my first year, and I share them in this post – as well as what I learned & how you can avoid them. 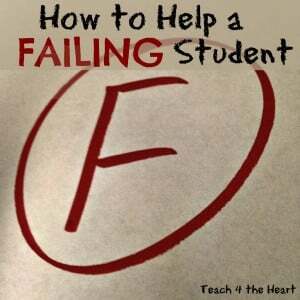 #7 Nine Ways to Help Failing Students (23,186 views) If we could will our students to good grades, all of us would. But, unfortunately, that’s now how it works. There are, however, some very practical things we can do to help those students who are really struggling, and I share 9 of them here. #6 If Your Class Is Out of Control (24,129 views) I’ve stood in front of an out-of-control class, and it is no fun, that’s for sure. Here’s my best advice for what you should do if your class is out of control. 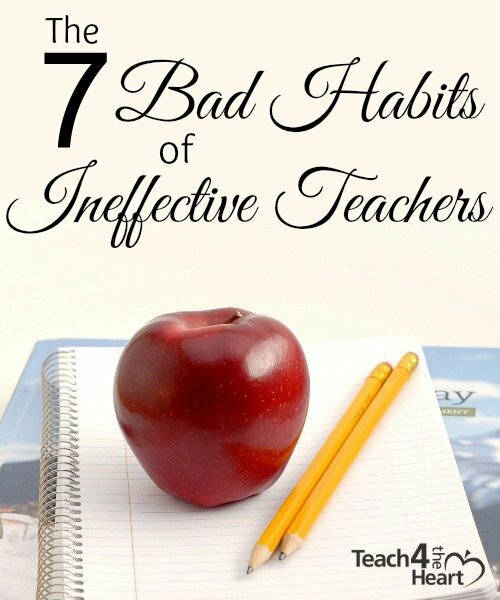 #5 The 7 Bad Habits of Ineffective Teachers (24,797 views) We all make mistakes, but these 7 habits will really kill your effectiveness. 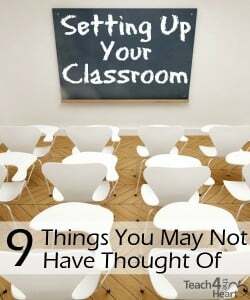 #4 Setting Up Your Classroom: 9 Practical Things You May Not Have Thought Of (27,009 views) In this post, I share 9 practical things I consider when setting up my classroom. 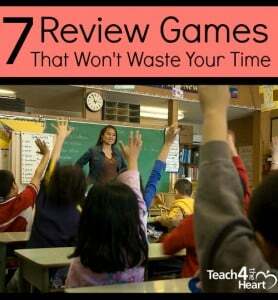 #3 Seven Review Games that Won’t Waste Your Time (38,455 views) When it’s time to review for a test, I don’t want to waste a minute of our time. Here are 7 review games that will add some fun to the review without wasting the precious time you need to actually review. #2 50+ Best Websites for Teachers (50,271 views) I can’t take too much credit for this article. I asked teachers what their favorite websites were & compiled a list. It’s a great compilation – a list by teachers, for teachers. 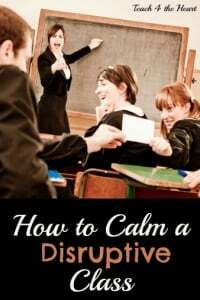 #1 How to Calm a Disruptive Class: The Quick & Easy Method that Saved My Sanity (173,397 views) When I wrote about the one method that made such a big difference to me personally, I had no idea how much it would resonate with other teachers. This post is consistently the most-viewed page on the blog and has been shared over 27,000 times. So I’d love to know – what do you think? These are the most popular posts so far, but I’d love to hear from you – What do you want me to write about next?